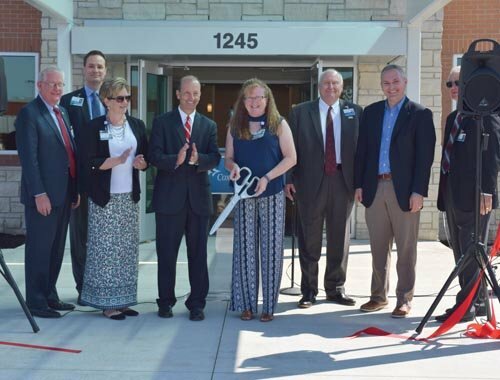 Getting patients convenient access to the care they need is a key part of CoxHealth's mission and a variety of new clinic concepts are making that happen across southwest Missouri. Over the last several months, clinics have expanded to serve new patients and CoxHealth has taken major steps toward the concept of “super clinics,” which will offer primary care alongside services ranging from physical therapy to urgent care. It’s all part of a strategy to deliver care where it’s needed most, and make the best strategic use of our resources to improve population health. Shamel has been working closely with Max Buetow, vice president of Regional Services, and other leaders in Cox Medical Group to determine where clinics can be expanded and where physicians can be grouped together to provide the best service. “Moving the puzzle pieces around will allow us to expand access, which is a must-have from a strategic standpoint,” he says. For the last 12-15 months, they’ve been looking at maps and working with health care planner Chris Breite to see where populations are growing and will demand more services. 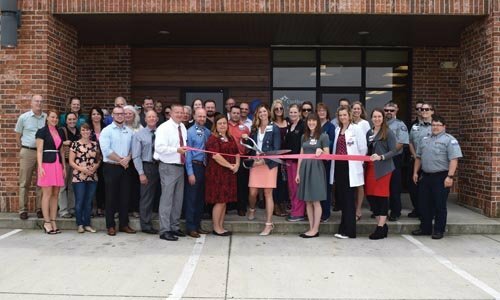 CoxHealth recently consolidated two operations in Kimberling City and Branson West into a single clinic at the Branson West location. Shamel says patients in Kimberling City had asked for expanded hours and more opportunities for access, but with the providers available, we hadn’t been able to accommodate those requests. By combining the clinics, there are now six providers in one location, which allows for expanded access and Saturday hours. 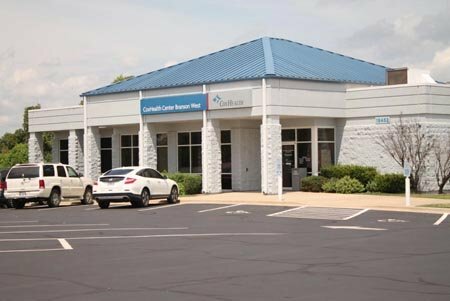 Two primary care practices in Ozark have now been consolidated into CoxHealth Center Ozark near the CC exit of U.S. 65. The primary care practice is next door to a brand new urgent care, which opened in mid-May. Shamel says the move sets the stage for a super clinic in Ozark. The single location also makes for efficient use of resources, with nursing and clinic staff able to support multiple providers. The addition of an urgent care allows for expanded hours, including evenings and weekends, which relieves pressure on Springfield facilities and allows patients in Ozark to stay closer to home. The ribbon was cut on June 2 for a new clinic near I-44 in Marshfield (above and top). The location is high visibility with easy interstate access and the custom-designed space will allow for future expansion of providers. A new pediatric clinic is set to open later this summer in Ozark. Dr. Jennifer Essner, who previously practiced in Nixa, will begin practicing at the Ozark clinic. It’s a move that expands the offerings for patients in Ozark, while creating an opportunity to backfill with a new primary care physician and a nurse practitioner in Nixa. “It lets us use our current space and grow both practices,” Shamel says. Last fall, CoxHealth addressed the access issue with a new innovation: the Welcome Clinic. The clinic is designed to allow new patients easy access to a provider without the wait commonly associated with seeing a new doctor. Now, the Welcome Clinic is making those calls a thing of the past. If a primary care provider is unable to get an appointment for a new patient within a month, the provider can make a referral to the clinic, so the patient can be seen as soon as possible. In the interest of making the best use of our resources, leaders are examining what other services the clinic might be able to provide. There is the possibility of creating a walk-in style clinic to relieve pressure at urgent cares. Or providers may be added to the roster of resources assisting with telemedicine visits. As the Diagnostic Clinic is restructuring with some providers retiring, the clinic’s family practice physicians will start a new clinic on the 2900 National campus, near the Welcome Clinic. The clinic will create a “medical home” experience, as leaders consider new approaches, including: care management nurses to oversee population health as well as integrated behavioral health and social workers to assist with chronic disease management. Construction begins this summer with the opening expected in early fall.